Is your ignition broken? Can’t extract the key inside or can’t turn it? It’s jammed ignition. Jammed ignition lock is a common occurrence and can happen anytime to vehicles of all kinds and models. Don’t fret out when you face such situation, jammed ignition San Diego will come to your rescue. inexperienced or those who are just self-acclaimed locksmith expert. Unless you want to compromise the safety of your vehicle, then you must be cautious in making an option. For a greater sense of safety and security, rely only to those who have proven their worth in the business. Ignition Jammed San Diego has been in this industry for quite some years. The years of experience had given us everything needed to satisfy your needs and meet or even exceed your expectation. Our company is the prominent service provider throughout San Diego, known for delivering premier service to vehicle owners who suffered from broken keys, keys stuck in the ignition and other related concern. We know that this situation is hard to avoid nor to anticipate so we always make sure our team is always available to fix the problem. Our team of locksmith experts will come to your place as soon as possible. The amount of time will depend on how far you are from us. Moreover, our team of locksmiths has undergone extensive trainings and is well-adept in terms of extracting broken keys and resolving jammed ignition. 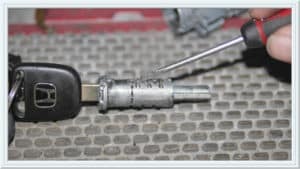 We also make sure we have the latest equipment to fix key jammed in ignition San Diego without causing further problem or damage to your vehicle. Before learning how to fix jammed ignition, it will be essential to know first its root cause. Generally, there are numerous factors which cause a key to be stuck in a car ignition. 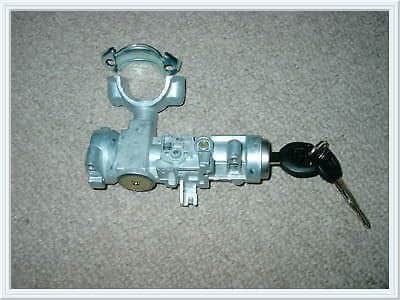 Broken steering lock or steering lock which requires a slight turn can be one of those. Lint or dirt that blocks the ignition opening, damaged ignition cylinder and faulty key can also cause the problem. from moving or turning fully. Your key can be stuck if this device is turned slightly into an uncomplimentary position. When this happen, the steering wheel must be returned to its proper position in order to deactivate the safety device and extract the key. But when the steering wheel is turning, the problem isn’t in the steering lock. Debris or Lint blocking the ignition cylinder may be the root cause of the problem. When this happen, spraying little amount of an electrical cleaner to the ignition can help. Afterwards gently slide the key in-and-out. The problem may also be caused by a broken or damaged key. Wiggling or turning the key slightly prior to pulling it may help extract the key. But if the key is relatively damaged, we can get you s machine-cut key, something similar to your original key. Our expert Jammed Ignition San Diego technicians will help you diagnose and fix the problem in a breeze. Jammed Ignition San Diego: Service you can trust! We only thrive for excellence. We are proud to provide only the highest quality locksmith service that can give you utmost satisfaction that can exceed even your highest standard or expectation. owners in San Diego. We already established a good reputation in this industry- reputation that aim to maintain. This motivates us to continue giving premier locksmith service. We also conform work ethics which makes us one of the most sough-after company throughout San Diego. Our previous customers are always happy with the service end-result. Through years of servicing the San Diego area, we had already experienced dealing with different kind of locks-related concern. 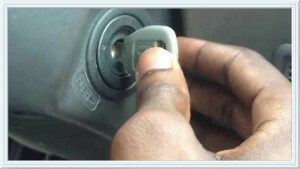 We have handle different models and brands of cars, have installed new innovative lock system even on vintage vehicles. We are doing every project with great precision and care whether its lock repair, key repair, lock change or fixing jammed ignition in a breeze. Our expert locksmith team had already worked with countless clients. Through numerous years in the industry, our team had already given countless individuals who struggling from the anxiety developed when facing a lock-related problem with great relief. We can give you a long list of pleased customers, all of whom are now enjoying the myriad of benefits right after having our topnotch locksmith service. The countless words of appreciation and gratitude as well as the big smiles from our customers serve as our motivation to always do our work at our best. Key jammed in ignition can happen any time of the day. We make sure that we are right here when that happen. Our reliable locksmith technicians are always available. Just give us a call and we will respond immediately. We don’t want our valued customers waiting so we do what it takes to arrive at your place immediately. We know how stressful it is to have a jammed ignition. We don’t want you to wait for countless hours before fixing the problem. We just hate prolonging your anxiety. For a courteous, reliable and professional jammed ignition San Diego locksmith service, don’t hesitate to give us a call. We will immediately get back to you right after your call.